Welcome to the wonderful world of imagination of magic, of adventure, of animals that speak; of happenings that are strange and marvellous! This is a series of five books, carefully graded with regard to language and concept. 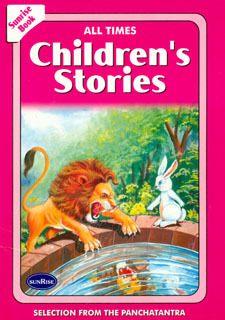 The stories have been adapted from a wide variety of sources the Panchatantra, Aesop\'s Fables, the Brothers Grimm, Hans Christian Anderson and folk tales from all over the world. Colourful illustrations bring alive the characters. The authors hope that through these books, children will discover the matchless pleasure of reading and will embark on a fascinating journey of discovery and delight.Nota: contiene ilustraciones a color.The authors hope that through these books, children will discover the matchless pleasure of reading and will embark on a fascinating journey of discovery and delight.Nota: contiene ilustraciones a color.Nota: contiene ilustraciones a color.